In spring 2015, the U.S. experienced a devastating outbreak caused by highly pathogenic avian influenza (HPAI) H5N2, mainly among commercial turkey and table-egg layer chicken flocks. 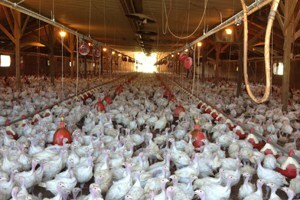 In Minnesota alone over 9 million birds on 108 farms located in 23 counties died from the disease or were depopulated. In other countries (primarily in Asia), some HPAIs can infect people who have direct contact with poultry, and cause severe disease with high fatality rates. Therefore, when the H5N2 outbreak hit the U.S., possible human health effects had to be evaluated; it was not known how infectious (if at all) the H5N2 virus might be for humans. It was critical to: 1) limit exposures of poultry workers to infected birds; 2) monitor poultry workers who had been exposed to infected birds to watch for possible symptoms of HPAI virus infection; and 3) test people with compatible symptoms. These responsibilities fell to the Minnesota Department of Health (MDH) Zoonotic Diseases Unit, including staff who are also part of the Upper Midwest Agricultural Safety and Health Center (UMASH). When MDH was informed of an infected poultry flock, staff contacted the flock owner or manager and all associated workers. Workers were interviewed regarding type of contact with sick birds and protective equipment used. Workers were then contacted daily for 10 days and monitored for development of illness. We are happy to say that, despite intensive monitoring efforts, no human infections with H5N2 have been detected in Minnesota or elsewhere in the U.S. In Minnesota, from March through June, 376 people involved in the care of infected flocks were monitored. MDH tested 15 people who reported illness symptoms, but did not identify any infections with H5N2 virus. 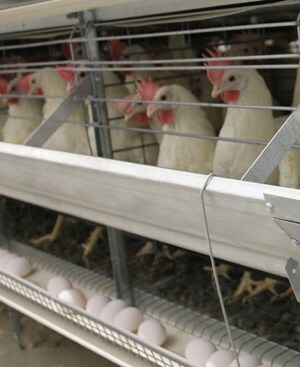 National criteria were developed for recommending treatment of exposed poultry workers with antiviral medications. In Minnesota, 198 (53%) of the 376 monitored workers met these criteria and were advised to take Tamiflu as a precaution; of these, 119 (60%) agreed. MDH facilitated getting the prescription for the workers by working with company occupational health departments or health care providers. The public health response was a comparatively small yet critical part of the overall H5N2 outbreak response. Thankfully, current results suggest that this H5N2 strain is not infectious for humans. However, because influenza viruses constantly change over time, further monitoring will be critical should H5N2 or other HPAIs return. UMASH and other Zoonotic Diseases Unit staff at MDH will continue to monitor this potential agricultural safety issue.